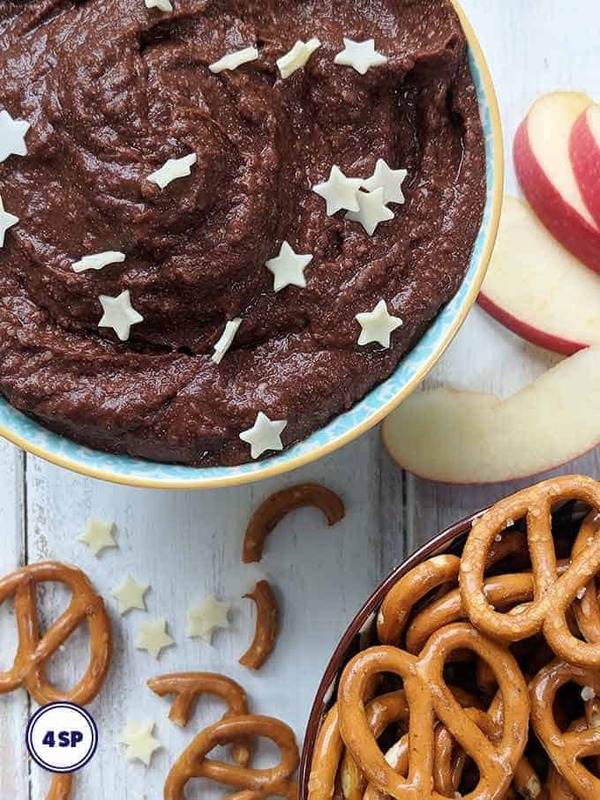 This easy, simple to make Chocolate Hummus is 4 SmartPoints per portion. 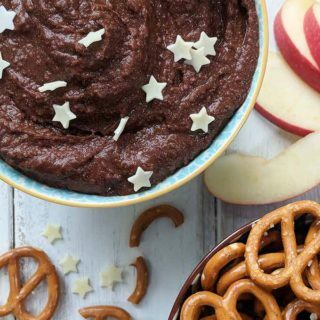 It’s chocolatey, smooth and perfect for dipping apple slices, pretzels, strawberries and even fingers! Take a look below to see the recipe and tips for making the perfect chocolate hummus. So … chocolate hummus?! 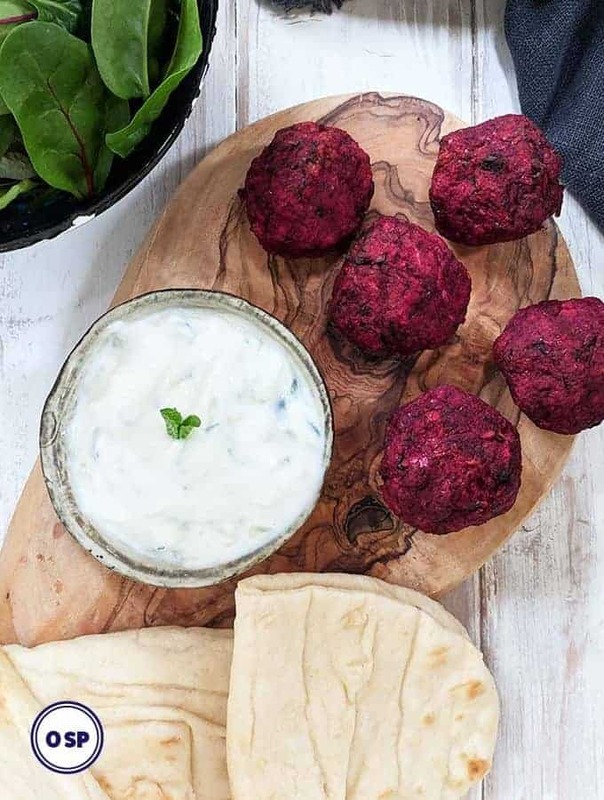 It’s taken me some time to get my head around a sweet version of one of my favourite savoury dips! 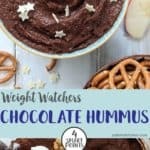 For months & months I’ve been seeing mention of Chocolate Hummus on Weight Watchers social media forums and I must admit I wasn’t particularly interested in trying it. In fact, to be truthful, I was 100% not interested in trying it! But …. when I was in North American recently I spotted one of the (widely talked about 🙂) shop made versions, so I was brave, I brought it, tried it and I was very pleasantly surprised. When I got home I decided to make my own version. I’ve tried a few different recipes but am happiest with this one. It’s sweet, very chocolatey and has a consistency that is thick enough to ‘coat’ whatever is being dipped into it. The recipe below makes a large cupful of Chocolate Hummus. 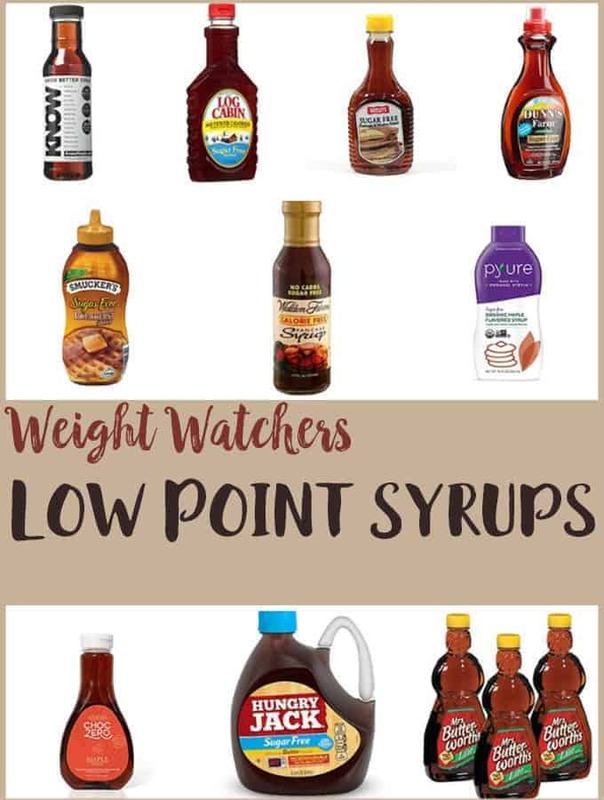 You get about 1/4 of a cup for 4 SmartPoints (equivalent of about 4 level tablespoons). Drain and rinse the chickpeas thoroughly before using. I used vanilla bean paste but use vanilla essence if you prefer. I used honey to sweeten this chocolate hummus, but I’ve also made it with maple syrup which is just as good. Blend / puree on a high speed for a few minute for ultra smooth hummus, scraping down the sides of the processor with a spatula every now and again. Add the liquid bit by bit until you reach the consistency that you want. I tend to use 3 tablespoons of milk and then add a little bit of water until it thickly coats the back of a spatula. I used Taylor & Colledge Vanilla Bean Paste, available from Amazon. How to eat chocolate hummus! Use it as a dip for sliced apples, strawberries, pretzels, fingers etc! 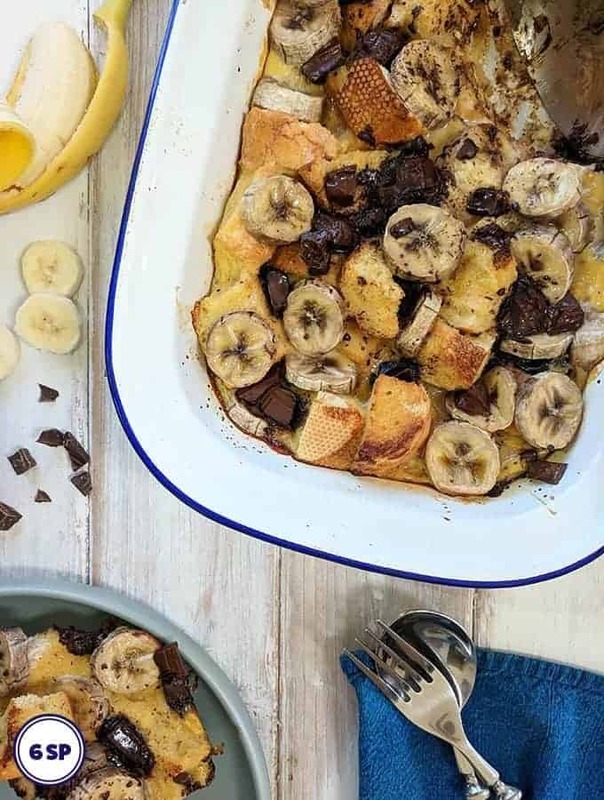 Use it as a chocolatey topping for pancakes. 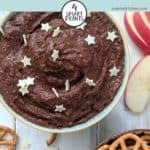 This Chocolate Hummus is 4 SmartPoints per portion (approx 1/4 cup) on Weight Watchers Freestyle / Flex plan. Place the chickpeas, honey, vanilla, salt and cocoa in a food processor and blend. Add the milk (& then water) tablespoon by tablespoon until you get a consistency that you like. Place in a serving dish and decorate with white chocolate stars (optional). Serve with sliced apples, strawberries and pretzels.